WE STRONGLY BELIEVE IN THE VALUE OF CO-CREATION Behind innovative solutions. 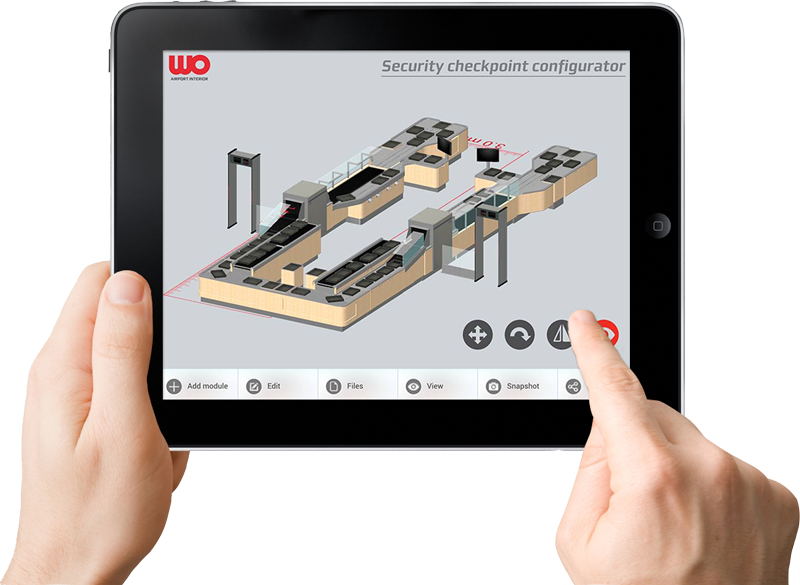 Our ambition is to develop the world’s best security checkpoints. Our 3D-design software is user-friendly and easy to use without being a skilled CAD-professional. The software allows you to outline various solutions and to share your configurations with others. The share function allows PDF versions of your designs to be sent to others. You are also welcome to give us your feedback and to share your designs with us. We hope you will enjoy using the software. Would you like to have further information. Please complete your contact details in the form below and you will receive the requested material by e-mail.